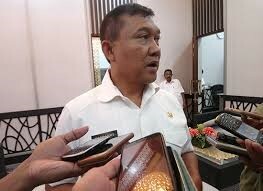 Acting Governor of Papua Soedarmo said he was ready to open a dialogue with the United Liberation Movement for West Papua (ULMWP) and the National Committee of West Papua (KNPB) and other groups still voicing the struggle for an independent Papua. "I am acting as the acting governor ready to dialogue, but dialogue on the basis under the Unitary State of the Republic of Indonesia, and how we develop Papua in the future," Soedarmo said in a press release in Jayapura on Wednesday (4/25/2010). Soedarmo said the dialogue offered did not have to be done formally. "That's my appreciation. The dialogue at the cafe was not ready at the office, "Soedarmo said, adding that the government had never forbidden criticism but asked for correct criticism Soedarmo stressed that the Indonesian government has not admitted to the group that always give the wrong information to the countries in the Pacific region "Yes, that's a group like ULMWP and KNPB, they are the only group that disturbs the political stability, security, economy in Papua," Soedarmo said.In relation to the visit of Solomon Islands Ambassador HE Salana Kalu to Papua, after meeting with Coordinating Minister for Political, Legal and Security Wiranto in Jakarta, Monday (4/23/2018). For the information submitted by the Government of Indonesia, this ambassador's entourage came to look closely at what the Indonesian government built in Papua. "For two days in Jayapura, Ambassadors and entourage were satisfied and appreciated to the Government of Indonesia for the enormous attention to builders in Papua," he said. Soedarmo said the condition of Papua is now open to anyone. Even the development undertaken by the Government of Indonesia in 29 districts and cities runs very well. However, he mentioned that information has been frequently distorted by certain groups. Earlier, the United Liberation Movement for West Papua (ULMWP) named the Salomon Islands Delegation Visited West Papua on April 24, 2018 as illegal diplomacy. ULMWP calls this visit uncoordinated, even though Rence Sore who leads the delegation is a special envoy of the Salomon government for West Papua affairs.